Large national meetings generally follow a tight script. 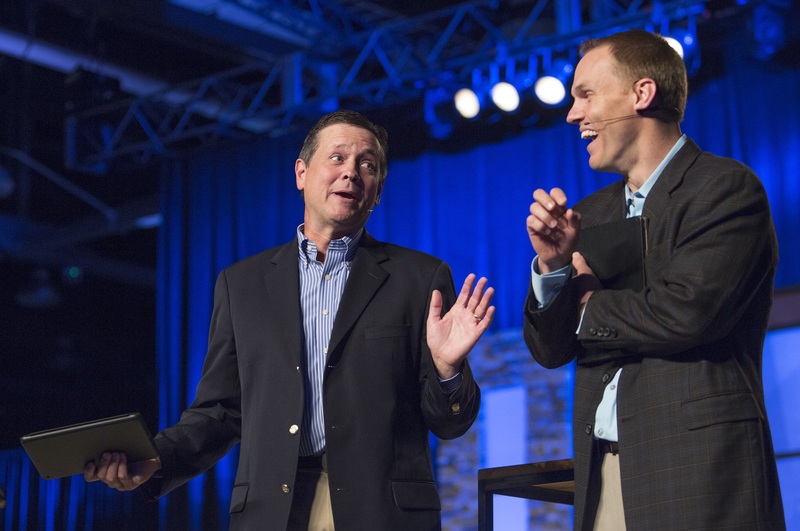 But in June, Kevin Ezell, left, and David Platt, right, cut loose and poked fun at each other while the Southern Baptist Convention held its annual meeting in Columbus, Ohio. The two are responsible for mission efforts in the denomination: Ezell as president of the North American Mission Board, Platt the International Mission Board.